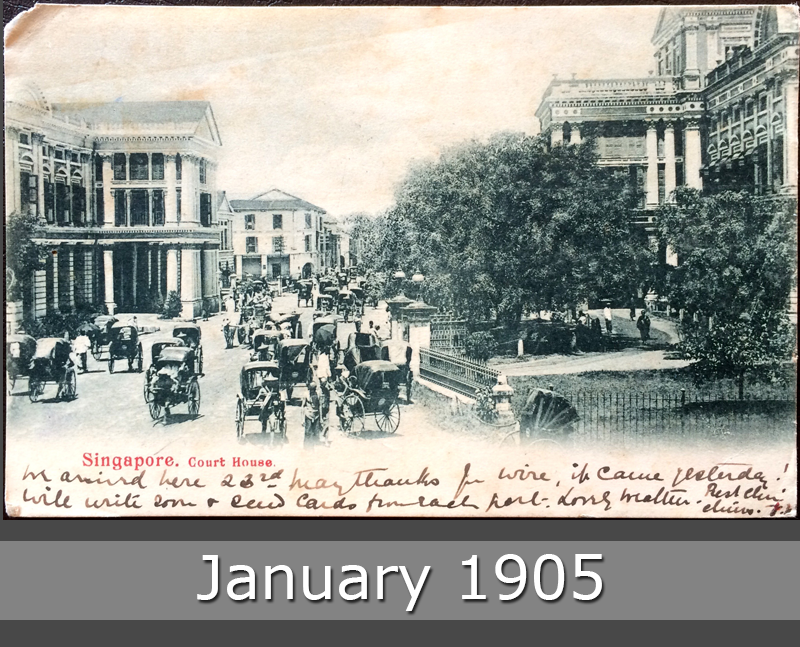 Singapore in January 1905 – Court House with street life. 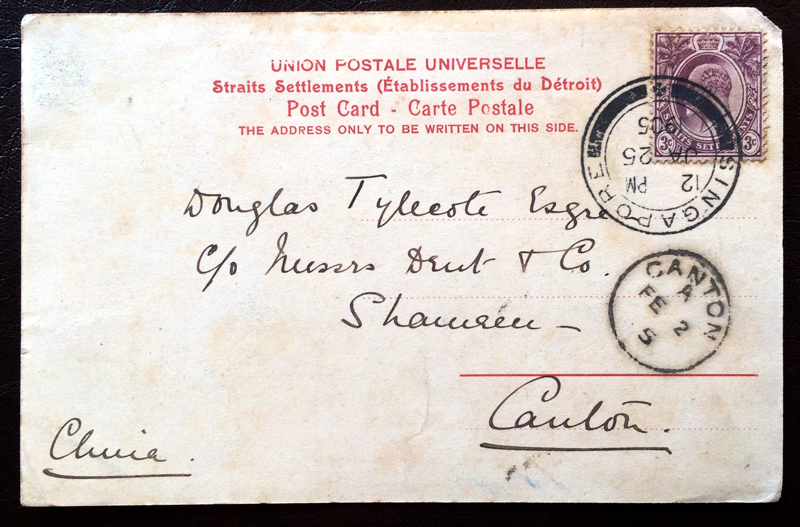 Stamped with a stamp of Straits Settlements. This postcard goes to Canton, China.